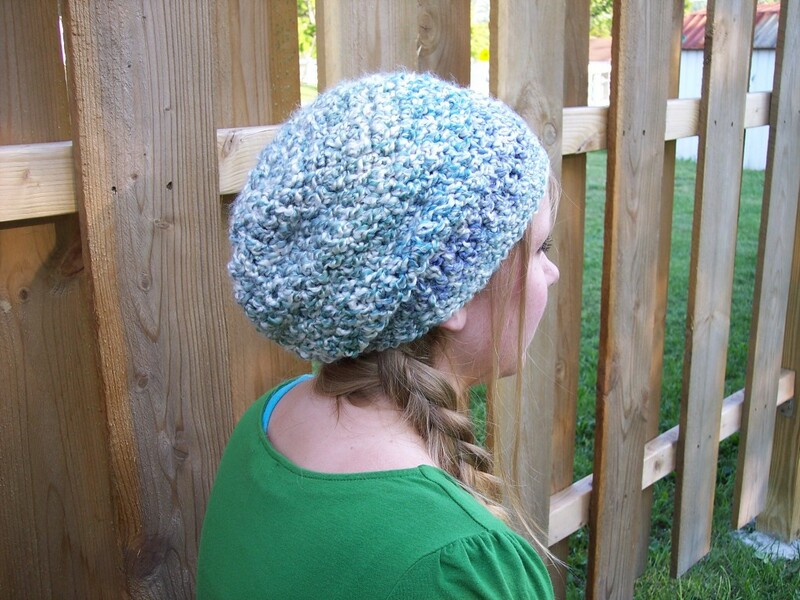 Crochet beanies involve multiple patterns using monochromatic or colorful yarns. 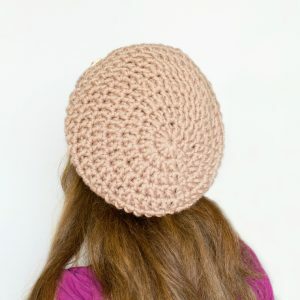 Due to the difference of materials and crocheting styles, such hats are wearable throughout the year. 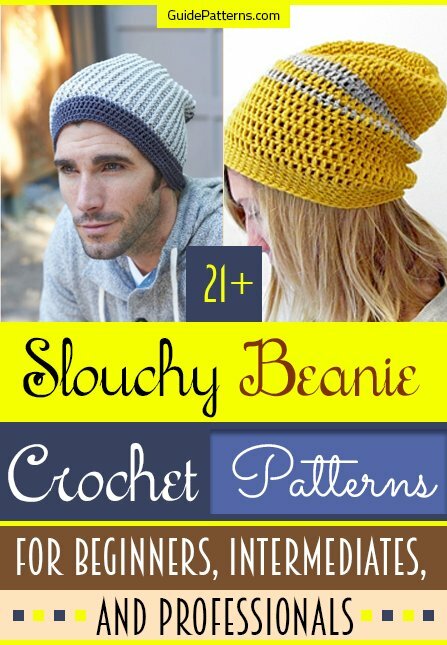 As the following article gives some innovative tutorials of such slouchy beanies, individuals with a flair for crocheting may find this useful. 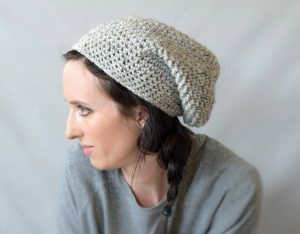 A gray slouchy beanie is made from a slip knot followed by single crocheting and puff stitching. 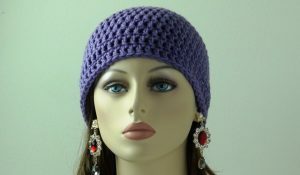 Ideal for your winter attire, you may use white, blue, or other shades of your choice. While the magic loop starts off the process of making this beanie, joining the ends concludes it. For your convenience, go through the given instruction, follow it, and get an amazing custom made beanie like this one. 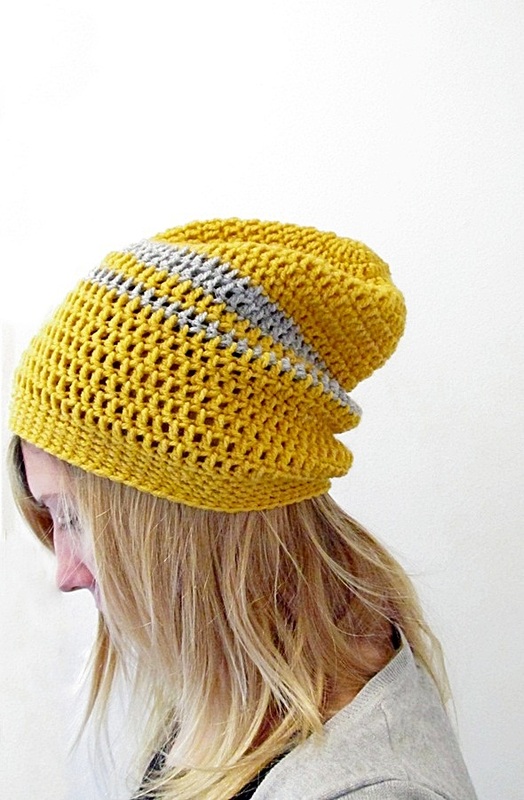 The combination of yellow and gray seems to have an urban touch to this beanie. 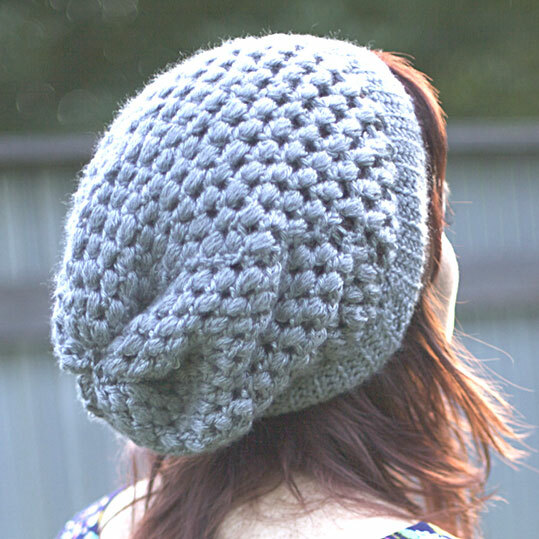 Invest 2-3 hours of a lazy afternoon or an evening and your slouchy sweetheart is ready. Chilly days call for colorful fashion; conform to that with a beanie having a wonderful synthesis of shades like red and different hues of blue. However, you can make the iconic Bob Marley beanie using the same instruction. 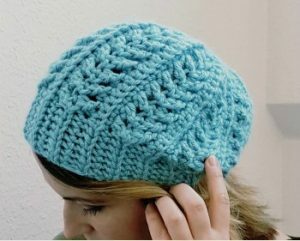 Measurement is an imperative part of making a less slouchy beanie. 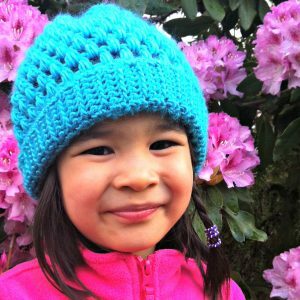 The tutorial will guide you to make a regular sized hat. 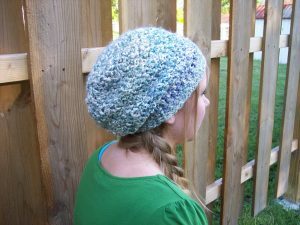 Bulky yarns used for double crocheting will get you such amazing beanies. 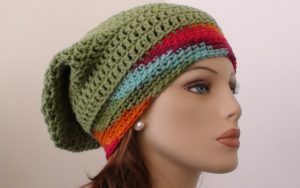 Ideal for teenagers, this one looks good in pink. 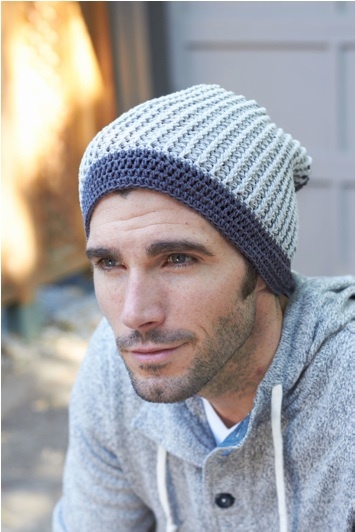 For your fall fashion, nothing could be a better headgear than a beanie with multiple shades. 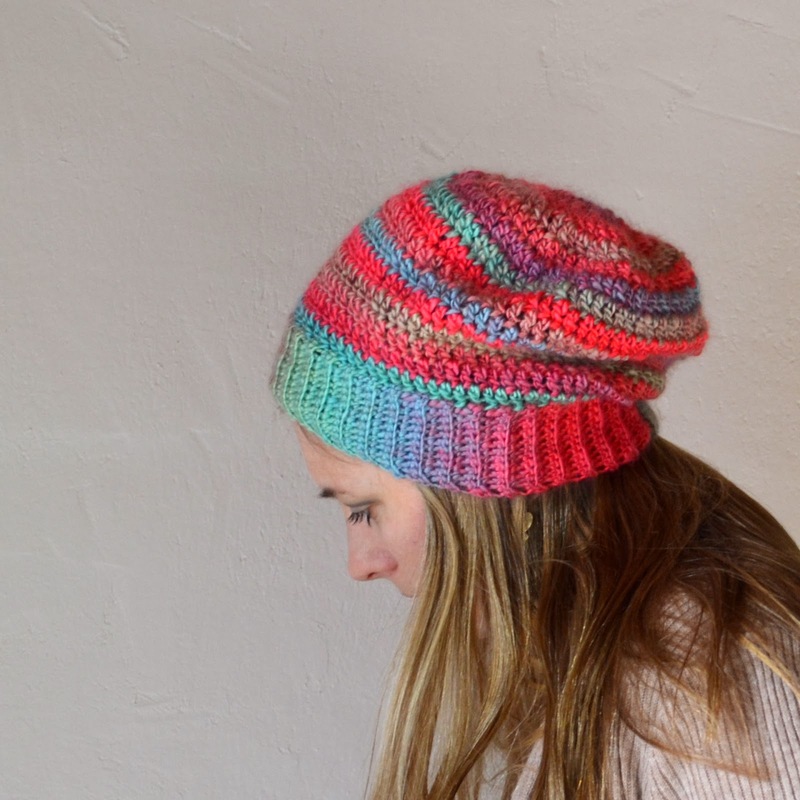 Crochet experts can infuse an appliqué to this otherwise simple yet vibrant beanie. 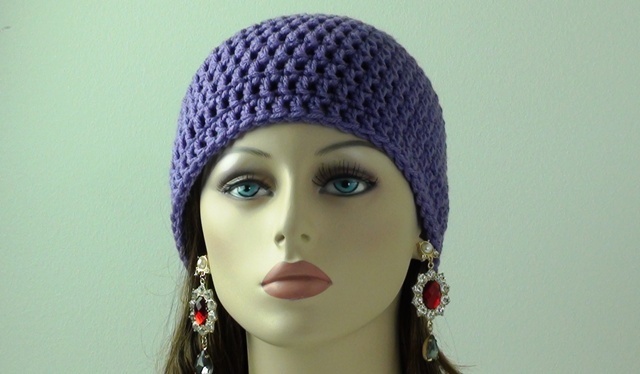 The following is an amalgamation of single and double crochet. 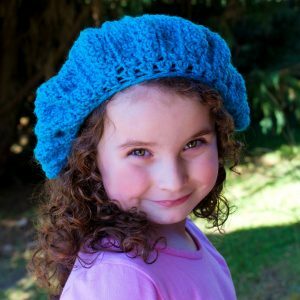 Check out the full tutorial and get started. 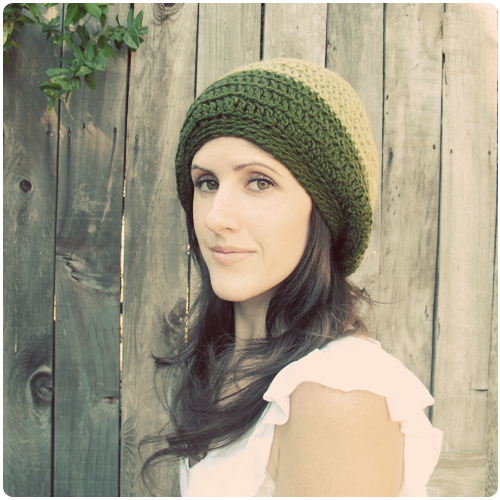 The monotonous olive beanie is complemented well by a colorful round. 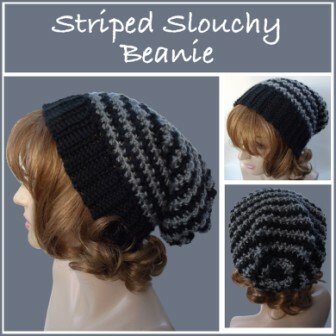 It is super slouchy so, you can always flaunt a casual look with it. 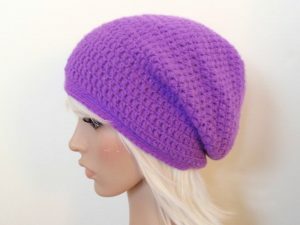 Wish to have a quick way to make a beanie for the festive season? This is your answer! Boys love them as much as girls do! So why don’t you make a beanie like the following one for your man? 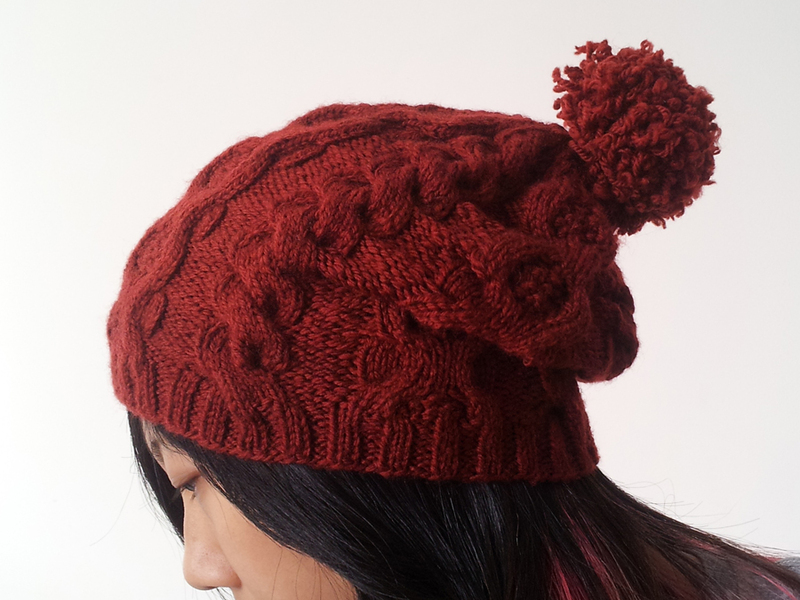 After all, handmade gifts are always special. 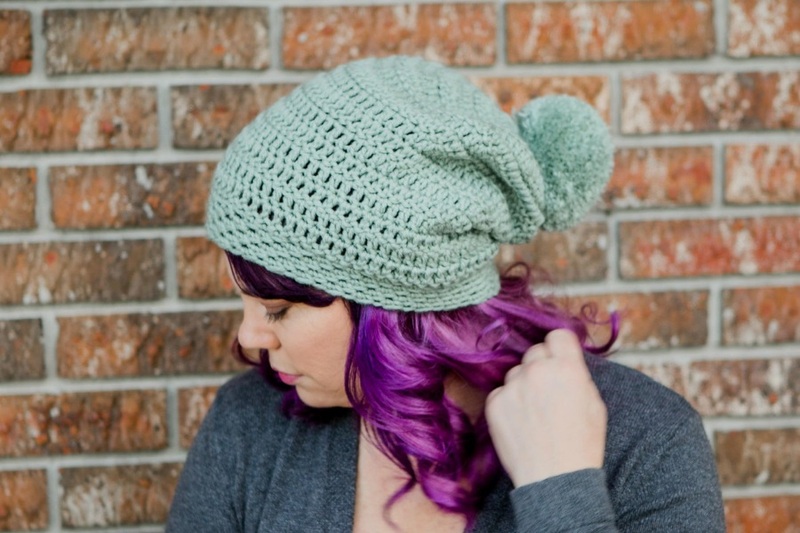 This beanie ensures a pocket-friendly way to add some styles to your wardrobe. 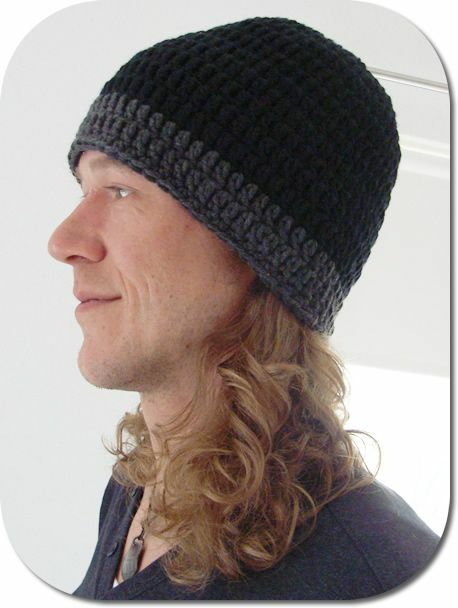 It is far from being slick, but the volume is what makes it stand apart. A simple beanie embellished with buttons has a modish look of its own. Team it up with pullovers or cardigans for showcasing your winter fashion. 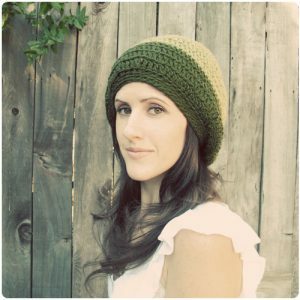 Lace beanie with a little slouch adds an “oomph” factor to your appearance when you step out in style. Also, the same pattern can be used for making beanies for babies. How adorable your baby would look with a blue beanie like this? The crochet done intricately on the back is a perfect challenge for advanced crochet enthusiasts. 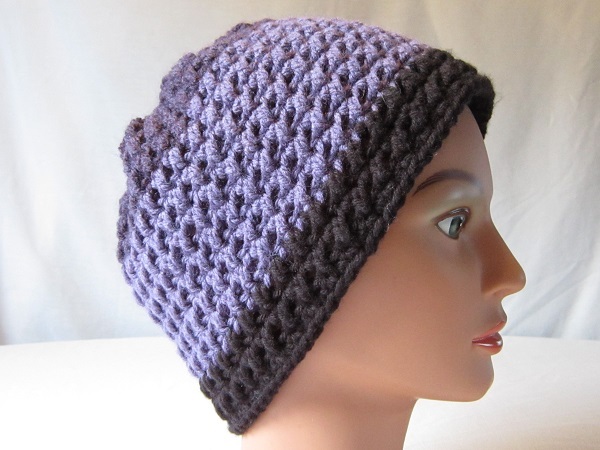 This beanie comes with a ribbed band at the edge, achieved by single crocheting. 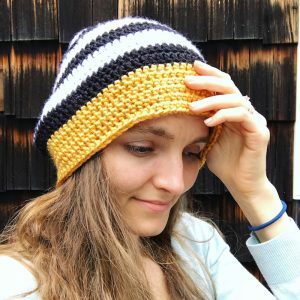 What is not to love about this one? 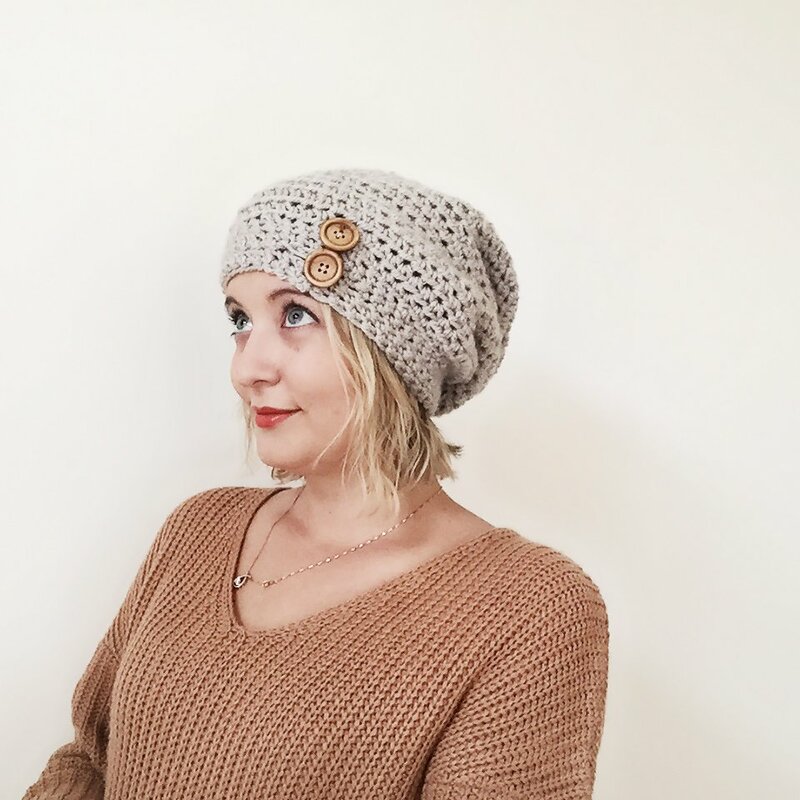 A cabled slouchy beanie adorned with a pompom looks chic. The beanie could be made of any patterns, but that pompom makes all the difference. The beanie is good enough for lending a fantastic appearance, but if you wish to make this a little bit slouchier, add some rounds of half double crochet. Slouchy beanies crocheted with dexterity and passion are remarkable pieces to show off. 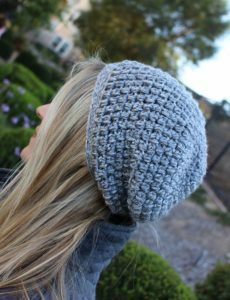 Not only do they enhance your get-up in minutes, but also remind us of the fact that fashion is not always about pricey stuff. If these instructions help you then give your feedback in the comment section below.